Whether you are looking to add a modest kitchen extension to your property or a wrap around two storey extensions we will help you to turn your ideas into workable detailed design drawings. Whether you are thinking of traditional brick / block work construction, timber framed construction or utilising modern building technologies we are willing and able to assist you. Will I need planning permission for my house extension? Single-storey rear extension must not extend beyond the rear wall of the ‘original house’* by more than three metres if an attached house or by four metres if a detached house. Maximum depth of a rear extension of more than one storey of three metres beyond the rear wall of the ‘original house’* including ground floor. On designated land** no permitted development for rear extensions of more than one storey. Yes you will also require building control approval for your house extension. This can be done either with a full plans application. Our plans are highly detailed yet clear and easy to read making misunderstandings practically unheard of. What is more we detail every part of the build together with a builders work specification all written for your project and all in accordance with building regulations requirements. How much should I expect to pay an architectural technician to produce plans for my House Extension?  At DC Architectural Designs, My prices are fixed at the lower end of the scale because my overheads are low and I believe that if I offer a great service at a great price I will never be short on customers or recommendations from friends and relatives. Why not email danielcrann@ymail.com to request a quotation for your project? I never sell on your details and your personal information. Furthermore no sales people will call to follow up on the quote, I will simply leave you to decide whether or not you wish to join the ever growing list of very satisfied clients that I have.